The spiritual commitments of the Society of Jesus emphasize careful moral discernment and creative application of rules to specific situations, especially regarding social priorities such as inequality. As the first Jesuit pope, Francis enjoys a unique opportunity to place an Ignatian imprint on the central administration of the Catholic Church. Fr. 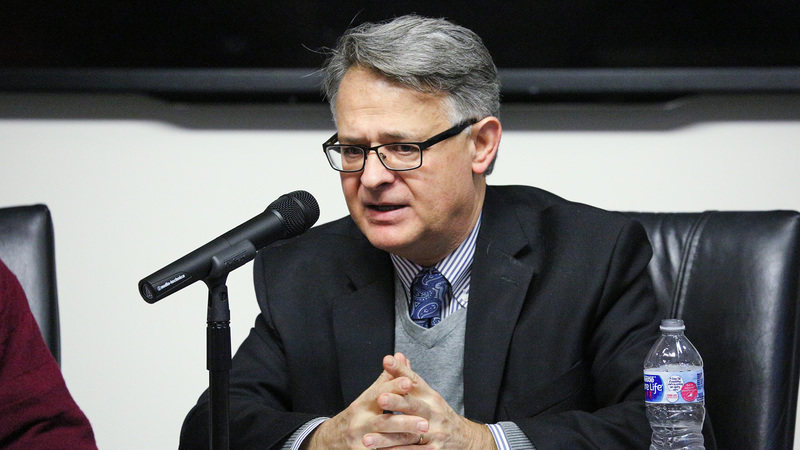 Thomas Massaro, S.J., of Fordham University led a discussion on the intriguing papacy of Pope Francis. In conversation with Paul Manuel, he discussed how Pope Francis’ papacy is different from his predecessors, and analyzed the Jesuit understanding of Catholicism and its impact on the Church. His talk addressed why it took so long to elect a Jesuit pope and examined what is distinct about the Jesuit papal vision. Lunch was served. Massaro's book Mercy in Action: The Social Teachings of Pope Francis (2018) and recent chapter in Pope Francis as a Global Actor Where Politics and Theology Meet (2018) discuss these questions in more detail and was available for sale at the event. This event was sponsored by the Religion, Ethics, and World Affairs Certificate Program. 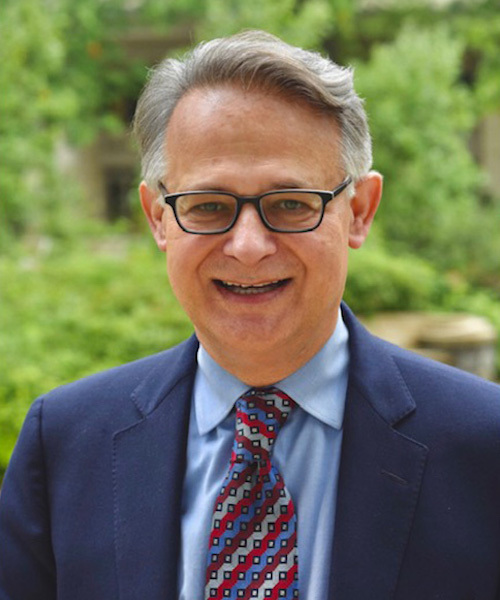 Paul Christopher Manuel is distinguished scholar in residence and director of the leadership program at American University's School of Public Affairs, as well as a research fellow at the Berkley Center. Manuel’s scholarship has contributed to the democratization literature in Spain and Portugal, with a focus on religion and politics. He has authored or co-authored nine books and numerous scholarly articles, including Faith-Based Organizations and Social Welfare: Associational Life and Religion in Contemporary Western Europe (2019, with Miguel Glatzer); Religion and Politics in a Global Society: Comparative Perspectives from the Portuguese-Speaking World (2012, edited with Alynna Lyon and Clyde Wilcox); and The Catholic Church and the Nation-State: Comparative Perspectives (2006, edited with Chris Reardon and Clyde Wilcox). He holds a B.A. and M.A. from Boston University, an M.T.S. from the School of Theology and Ministry at Boston College (formerly the Weston Jesuit School of Theology in Cambridge, Massachusetts), and a Ph.D. in government from Georgetown University. 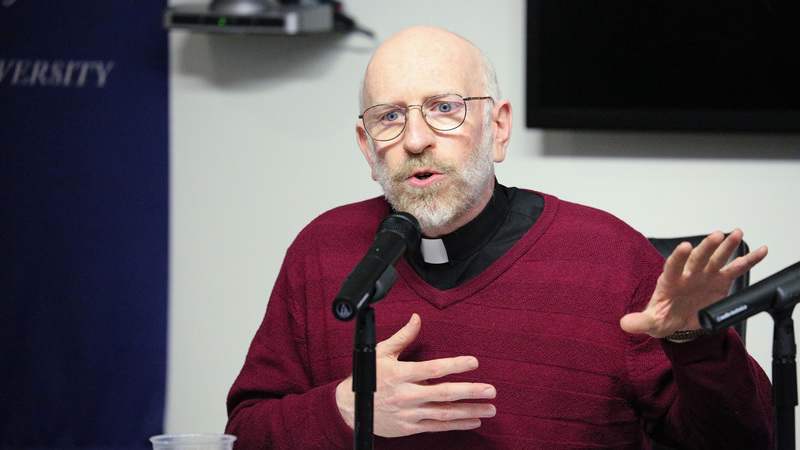 A Jesuit of the Northeast Province, Thomas Massaro, S.J., is a professor of moral theology at Fordham University. 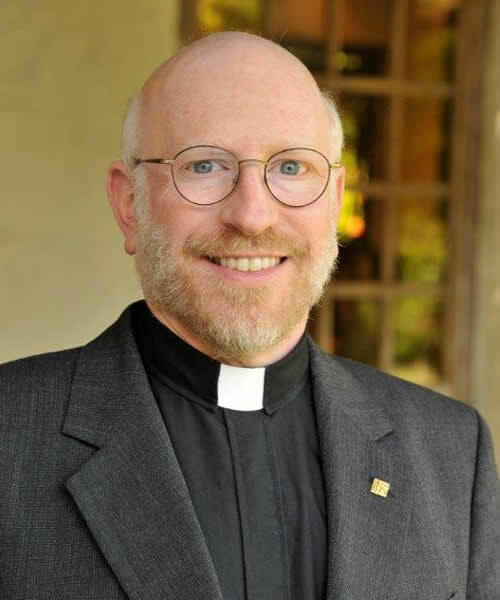 Previously a professor at Boston College, Weston Jesuit School of Theology, and the Jesuit School of Theology of Santa Clara University, his work addresses topics related to Catholic social teaching, public policy, social justice, and faith-based activism.